Supplemental security income (SSI) is a federal program administered by the Social Security Administration to help people who are elderly, blind, or otherwise disabled, and living with limited financial resources. Additionally, there are situations in which disabled children can also receive SSI benefits. Because these benefits may be essential to your health and well-being, it is important to have legal representation on your side when applying for SSI. A well-qualified Indianapolis supplemental security income lawyer may be able to help you prove that you or your loved one meets the requirements to receive SSI, allowing you to regain financial stability. To learn more about how we may be able to assist you, contact the Hankey Law Office, P.C., today at 317-634-8565. In addition, there are several other provisions for SSI eligibility that are more complicated and may require the help of an Indianapolis SSI attorney to determine eligibility. These SSI benefits can be imperative to providing your child with the medical attention, therapy, and any other treatment he or she needs. Whether you are an elderly, disabled adult or a caregiver to a disabled child, there are many complex rules determining who is eligible for SSI and how much they can receive. Therefore, it is best to speak with our knowledgeable Indianapolis supplemental security income lawyers about your case rather than risk making any mistakes that can derail your case. 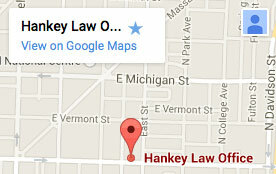 To discuss your situation, contact the Hankey Law Office, P.C., today at 317-634-8565.